Casio makes a lot of quality keyboards for beginners. They do make keyboards for the more advanced student as well, but I like what they have as far as options for beginner’s from younger to older go. What makes Casio beginner keyboards good? In A Hurry? I Like The Casio CT-X700. 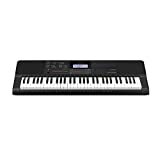 Casio beginner keyboards are cheaper than your typical keyboard and filled with a good amount of stock sounds. They give you a lot of bang for your buck in the sense that their sounds are actually surprisingly really good for the price range. 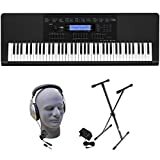 I have owned multiple keyboards from Casio and as far as being used by beginner’s, I have had a good experience. Read on to see which keyboards I like for beginners. 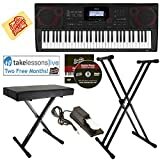 What To Look For In A Casio Keyboard Geared For Beginners? 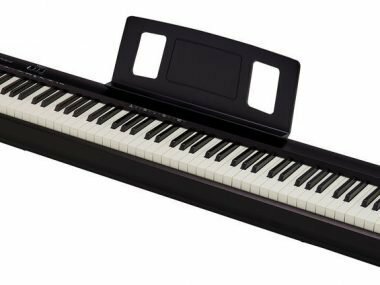 Price: Typically you will be spending less money on their keyboards that are geared for newer piano students. 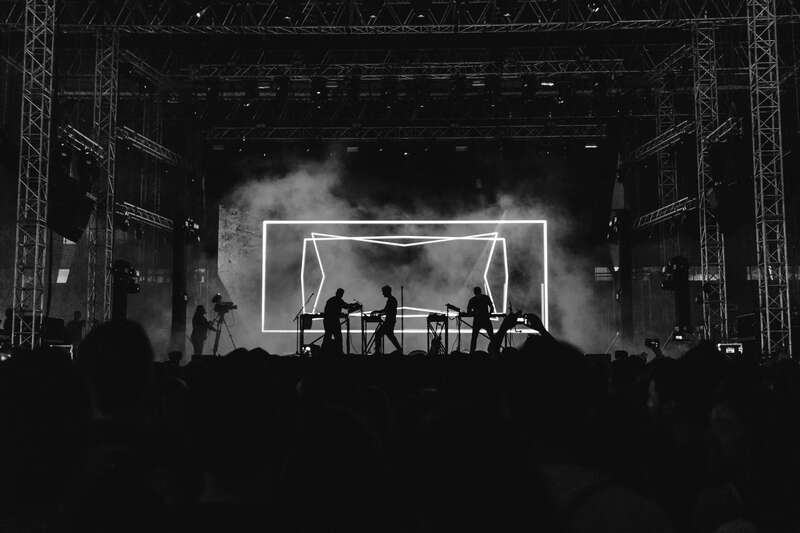 Sounds: Most students who are just beginning are going to want a decent amount of pre-sets to flip through to keep them entertained. This isn’t the end-all, but it helps to have a variety of quality sounds. Speaker Quality: You will want a keyboard that has built-in speakers that are quality. Keyboard speakers have come pretty far in the last 10 years so basically all of these keyboards we go over have quality speakers. Keep your eye out for a headphone jack as well. If you’re a parent or an older student, you may want to wear headphones so you’re not annoying everyone around you at first. Keys: How many keys do you want your keyboard to have? All beginner keyboards are going to have non or semi-weighted keys unless you get a digital piano. Portability: Lighter-weight keyboards are more portable which helps if you are ever looking to be transporting your keyboard to play in new locations. I recently did an article where I talk about the Casio CT-X700 in depth. I like this keyboard because it’s built for the beginner student, but the sounds are actually really nice. This doesn’t sound like a budget keyboard really in any way. It’s also extremely portable because of its lightweight. There’s a really nice built-in song lesson program for beginner’s as well. 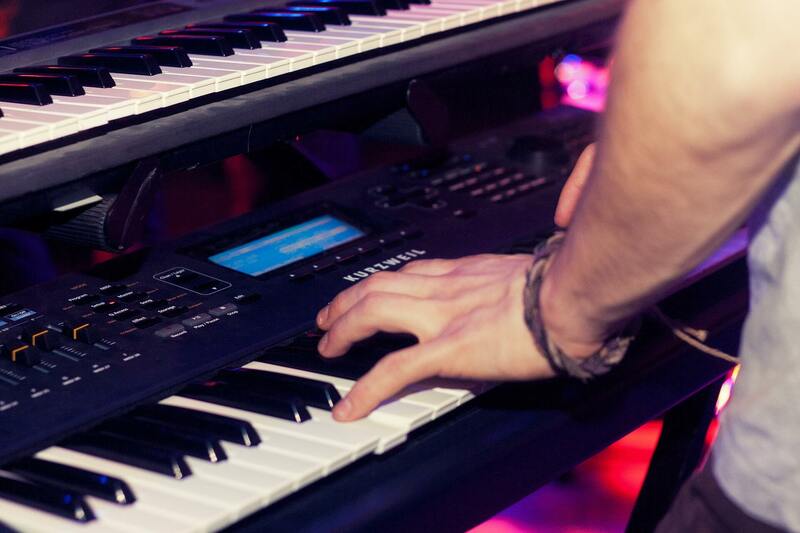 This 76 key keyboard is one of Casio’s beginner models. One thing to note with this is that it’s a keyboard bundle pack aimed toward’s beginner students. It comes with a bench, headphones and a stand on top of the keyboard. It comes with 600 different sounds and 152 songs to play along with. The first time I played on this keyboard I was pretty surprised at the price. I was at a local guitar center thinking that this was going to be more of a middle of the road keyboard for Casio since it felt pretty nice. I like this for beginner’s and I think any age of musician will like this as a starter keyboard. The CT-X3000 is another good look at a great keyboard for beginners. This also comes with a stand, sustain pedal, and a bench in a bundle pack. I am starting to like the bundle packs mainly because they save parents a lot of money while at the same time giving them some quality gear they can use for years of use. 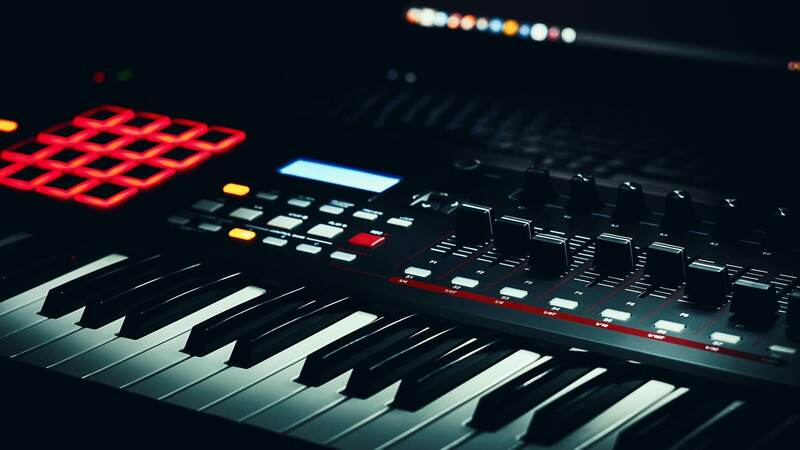 The CT-X3000 has 61 touch-responsive keys and comes with 800 different tones. This fits the description for a keyboard that has a lot of tones to keep beginner’s busy. The speakers are 12 watts and stereo. This is pretty nice for a keyboard near this price range. You won’t be complaining about it being too quiet, that’s for sure. There are a lot of options from Casio for newer piano students. While I do think pretty much all of the cheaper Casio keyboards will provide you with what you need, I tried to pick out the best from my personal experience. I personally hold the opinion that Casio makes some of the best keyboards for beginners that are available today and I believe their sounds are what set them apart from most. I would recommend checking out Yamaha keyboards as well. They will be a little bit more expensive, but they also have some really great products for beginners. If you don’t find what you like right away, take your time, it’s definitely not a race. I think between these two companies, you will find something that you really like. Sounds get lost in a lot of cheaper keyboards as companies save the good ones for their more expensive products. Casio does a good job and capturing the sounds in all of their keyboards, including the cheaper ones.